Because beating bad breath takes a higher IQ. Register with SmartMouth to receive free samples of our Original Mouthwash and Dry Mouth oral health solutions for your dental practice. SmartMouth supports dentists, dental hygienists and oral health professionals just like we support our customers. We aim to be your one-stop source for anything and everything your patients need to eliminate and prevent bad breath. Find out what thousands of other dental professionals are talking about on SmartMouth’s Dental Professionals page. Sign up today to receive product samples, exclusive benefits, and access to future initiatives. We don’t have to tell you that bad breath affects everyone. You witness that everyday. When anaerobic bacteria in the mouth feed on leftover protein particles from the food and beverages we consume, they emit volatile sulfur compound, or VSCs. It’s these sulfur compounds that are the scientifically identified cause of bad breath. 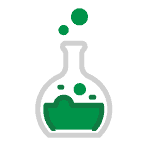 SmartMouth is the only mouthwash on the market that utilizes zinc-ion technology to fuse to these anaerobes, preventing them from ingesting protein particles, and impeding their ability to emit VSCs. 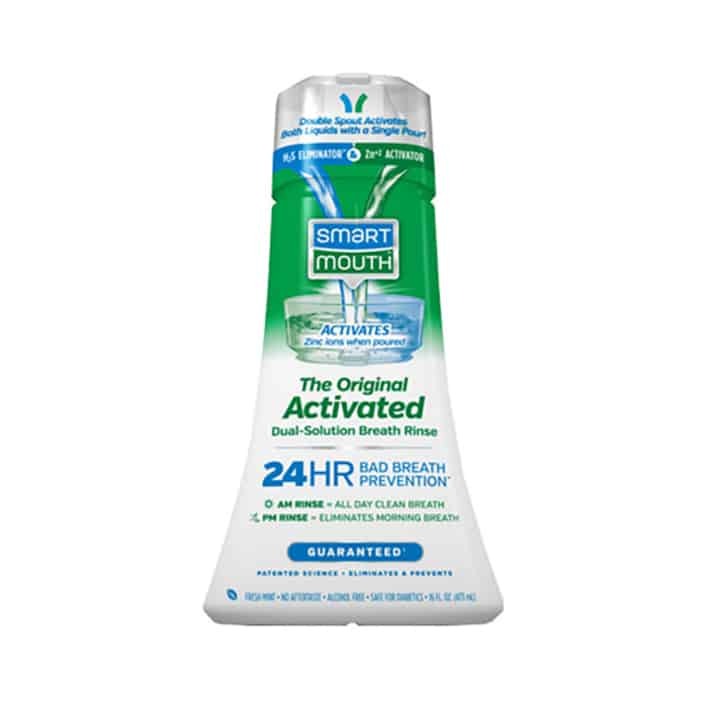 Not only does SmartMouth work immediately to eliminate bad breath by neutralizing VSCs already present in the mouth, it also prevents bad breath causing germs from producing VSCs for a full 12-hours after every rinse. “If you’re serious about eliminating and preventing bad breath, nothing works better than SmartMouth’s activated zinc ion technology. Zinc Rich Activator: The Zinc Rich Solution activates when you pour, releasing billions of zinc ions that bond to the germs in your mouth, preventing bad breath for 12 hours with every rinse. 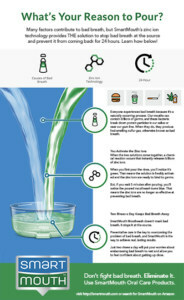 Sulfur Eliminator: The Sulfur Eliminating Solution destroys any existing bad breath gases in your mouth. 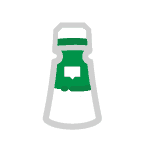 In addition to the innovative science behind this patented dual solution, all SmartMouth Mouthwashes are alcohol-free, paraben-free, and safe for diabetics and children ages 6 and up. Register with SmartMouth to receive free samples of our Original and Dry Mouth oral health solutions for your dental practice. 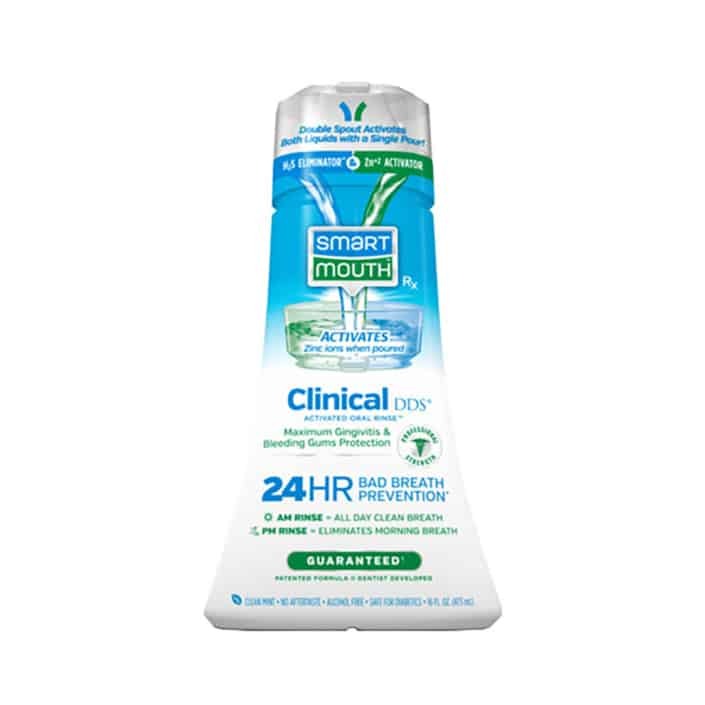 Whether you patients need to eliminate bad breath, prevent dry mouth, or stop gingivitis and gum disease before it becomes a clinical issue, there’s a SmartMouth Mouthwash scientifically proven to work for them. SmartMouth’s extended line of oral health products including Dry Mouth Mints and Premium Toothpaste can supplement your patients’ oral care routines with added benefits to help alleviate their oral health issues. Don’t forget to sign up today to receive product samples, exclusive benefits, and access to future initiatives!